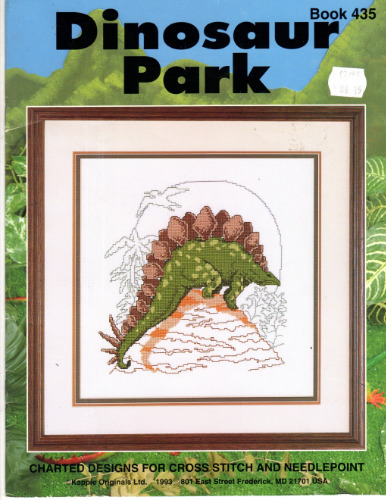 Kappie Originals Dinosaur Park counted Cross Stitch and needlepoint Pattern booklet. Mark Brockman. Stegasaurus, T-Rex, Brontosaurus, Brontosaurus Family. Appears new. Price tag on cover.